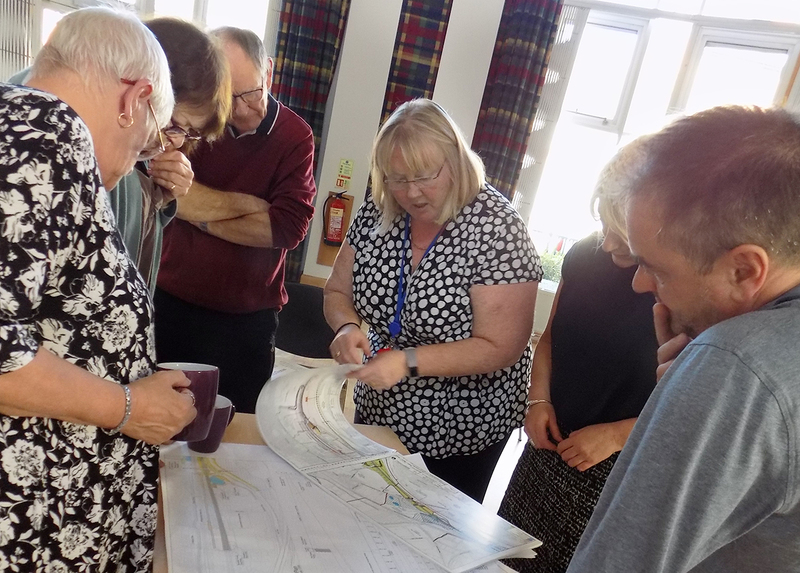 On Thursday 27th September the Neighbourhood Partnership team held their first consultation meeting with members from the HS2 project to discuss any impact the development will have on Castle Vale. Below is a review of the topics discussed and points made including issues to be addressed in the next follow-up meeting. Susan Bridges, HS2 Consultation Lead, confirmed that all roads impacted by the construction were included in the Bill including those within Castle vale. 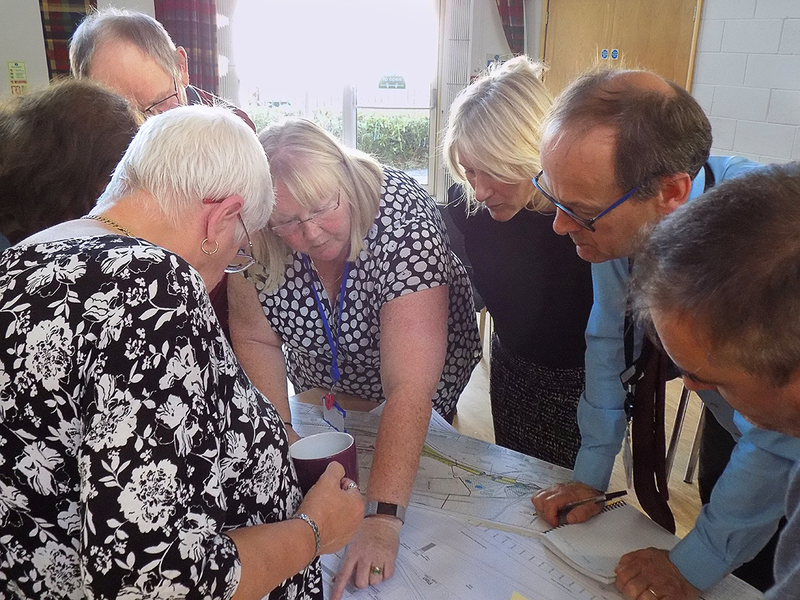 The reason for Cadbury Drive/Javelin Avenue being included was to enable the mitigation works by means of tree planting and the two proposed balancing ponds to mitigate flooding. Works will also be taking place in Bromford, realigning the River Tame. Balancing Ponds may be fenced off but can’t confirm as they’re still awaiting the designs. Up until this stage, HS2 have been waiting for the contractor (Balfour Beatty) to work up their design and implementation plans – but as of yet, HS2 have not received them. However, BB have confirmed that they have looked at Javelin Avenue regarding the environmental mitigation and can confirm, in advance of the final plans being submitted, that the works will not require HGV access but instead a small number of transit vans and mini diggers who will arrive in the morning and depart in the evening. This will take about a month depending on the planting. There will be no Sunday or night time working. HS2 don’t have the design of the balancing ponds yet but in effect they will use standard specifications and these will comprise a depression in the ground, with signage and lifesaving rings. These will flood only in heavy rain. It’s been noted that the ponds will use up an area of open space and temporary access arrangements will be time limited for a period of 10 years before reverting to the landowner. Residents were generally concerned about the loss of green open space. The issue discussed around loss of footpath access as a consequence – HS2 advised that if a footpath was temporarily closed a temporary path would be identified. 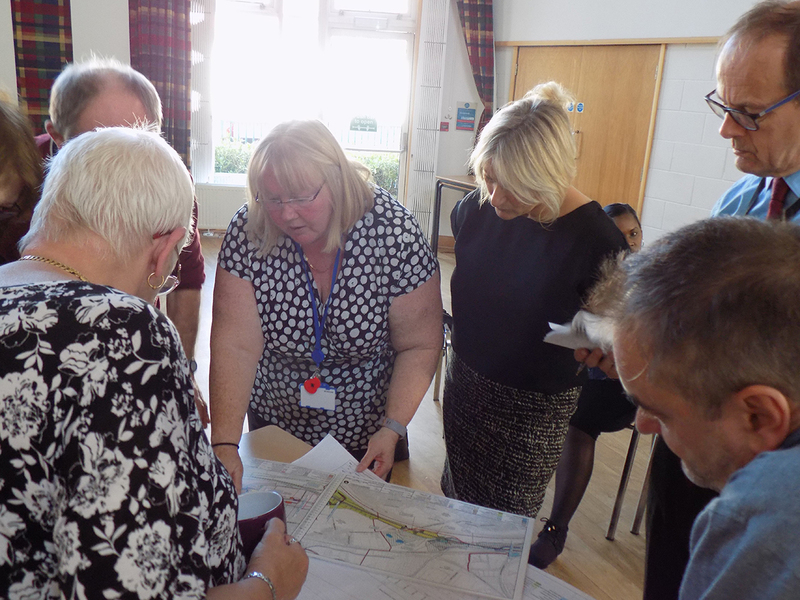 Action: Conduct site visit with interested residents to look at footpaths and loss of open space. Key message: No HGV’s required for installation of environmental mitigation along Cadbury drive and Javelin Avenue. The Household Refuse Centre is not being demolished and will remain as will the Traveller Camp. Household disturbance compensation – confirmed the Department for Transport will bring forward guidance on household disturbance compensation including urban areas. Action: To await and inform residents when the package is agreed. Key issue: Impact of traffic taking into account Peddimore and Langley developments, Commonwealth games, A38 roundabout. Noted that a Traffic Liaison Group comprising Birmingham City Council Transportation. Emergency services and HS2 Contractors will meet through the programme and make directions to mitigate impacts as appropriate by restrictions. Additionally, West Midlands Combined Authority Resilience Forum would review continuously the strategic impact of all works (such as those listed above). 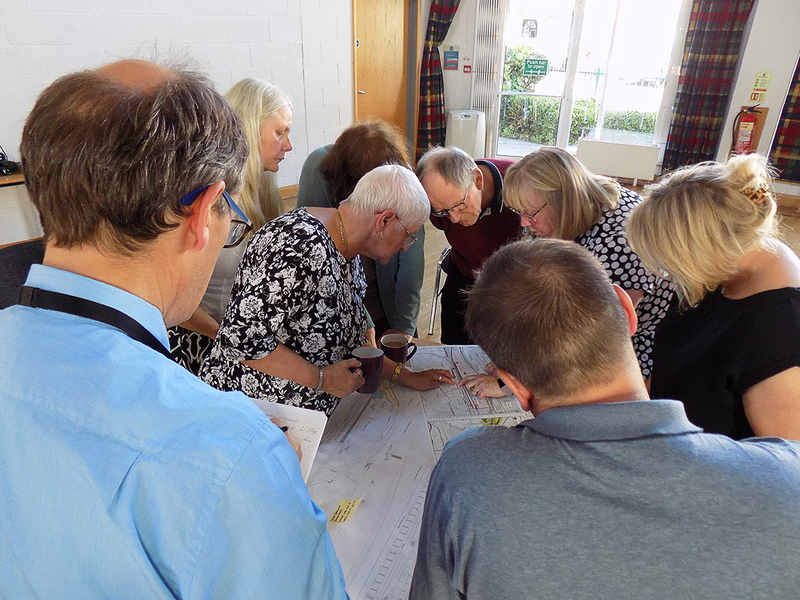 Action: Residents keen for assurance on how this would manage the particular impacts in Castle vale given its strategic positioning. HS2 to receive plans and programme Balfour Beatty towards end of 2018 and HS2 and Department for Transportation will issue a notice to proceed probably in June 2019. On site post-June across the build. This will be undertaken by starting on the sections that will take longer first e.g. the Bromford Tunnel (twin track) – coming from Washwood Heath first and back in all likelihood. Enabling works are already on site in rural and urban areas – clearing grass in rural part and demolitions in urban. Started in Curzon street end and working back with selected small demolitions. CV Business park demolitions take place in 2019. Note there will be works carried out to main junctions off M42 and M6. Environment agency currently working on Bromford site aligning housing regeneration work / flood realignments. Firs works phase will be building of Track by around 2024 and then installing overhead lines. Working therefore to end of 2026 before go live. Note works are not linear and will not be constant in a particular area for the duration of the programme. Castle Vale has had one CEF bid agreed via the fund administrator (Groundwork) for £75k with three bids in the offing and potential cross community bid. In addition the enabling and main contractors will run a Community Initiatives Programme (non-resource based) offering volunteering / mentoring to communities. Contact for Birmingham City Council is Rebecca Hawthorne, for funding assistance. Councillor Webb outlined that WMCA have published the stage 1 local line and stage 2 including Castle Bromwich. This is different to the HS2 proposals though there is synergy between both in terms of economic potential. Agreed next meeting to take place in February 2019 in early evening. Date to be published, venue Sanctuary. To include special consideration of wider transportation disturbance, update on programme schedules, update on funding. Separate update via Councillor Webb on local train line via the WMCA.